As it turns out, there is more than a little fight to the Tampa Bay Lightning. The Lightning survived a scrappy contest against Vancouver Tuesday night, pulling away from the Canucks to a 5-2 victory. There were several fights during the game, resulting in a total of 41 penalty minutes and 10 power plays before it was over. 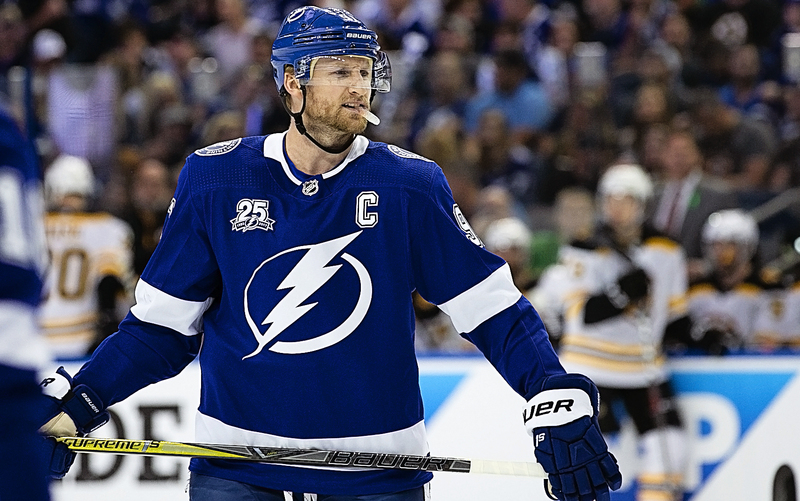 The Bolts led only 3-2 in the third period, but late goals by Steven Stamkos and Ondrej Palat allowed the Lightning to close it out. "Stamkos goal was a huge one," Lightning coach Jon Cooper said. "It took the life out of them.'" Stamkos said it was a good team victory. Lightning coach Jon Cooper shrugged off the fisticuffs by saying it was "guys trying to protect themselves and taking up for each other." For Tampa Bay, Nikita Kucherov, Cedric Paquette and Adam Erne also scored. Rookie Danick Martel played for the Lightning after Ryan Callahan was a late scratch. He found out just before the game that he would play. “After warmup," he said. "I was not even at the rink yet. I got a text and I was walking so I start running under the rain, came in and had some fun. Martel ended up with his first point when he assisted on Paquette's goal. The Bolts' fourth line played well in the victory. 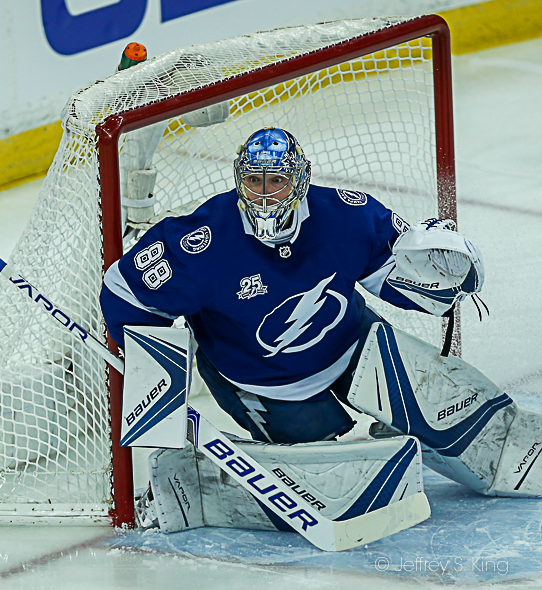 Andrei Vasilevskiy stopped 36 of 38 shots to earn his 11th win of the season. He moved into third place in saves ahead of Nikolai Khabibulin. Tampa Bay plays Calgary on Thursday night. The puck is scheduled to drop at 9 p.m. The Bolts, 26-7-2, have now won nine of their last 10 games. It is so good to see the captain starting to find the back of the net again. The Bolts are very deep and every line can score, so its nice to see the first line coming back to life. I know what you mean. Gourde can score a lot, and Palat, and Johnson. But when Stamkos is scoring, it feels right. It feels dangerous.